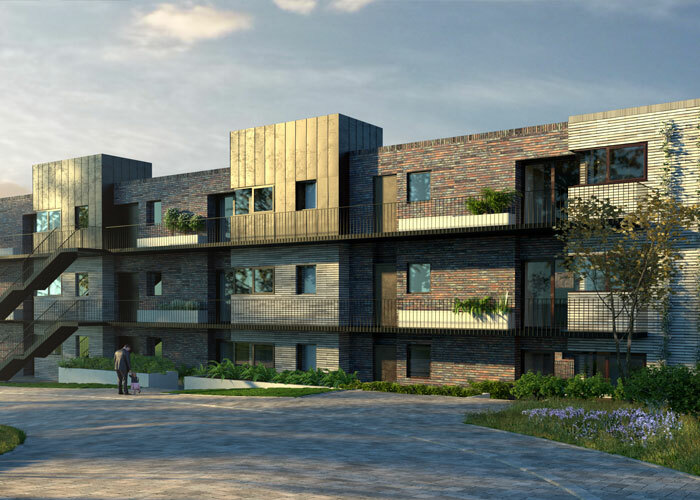 The brand new apartment development in Penarth, Sainte Adresse – currently in its construction phase – will this week launch its website to coincide with renowned artist, Claude Monet’s, birthday. The complex, located on the headland behind the iconic Customs House, is so-called because of its links with Monet and his former French holiday retreat, Sainte-Adresse. Born on November 14, 1840, the founder of impressionism painted many works of art in the small, historical town including Jardin à Sainte-Adresse, which he created in 1867 after spending the summer there with his family. The South Wales apartment complex is situated on the land of the former Northcliff manor house, lodge and summer house which was built for Ernest Plisson, who traded between Penarth and Sainte-Adresse in the early 1900s. Monet’s long list of artworks based on the beautiful area include La plage de Sainte-Adresse, La côte de Sainte-Adresse and La mer à Sainte-Adresse. Several of his stunning pieces can be found in the National Museum of Wales. Fast-forward 100-plus years, and the contemporary collection of apartments, made up of 24 two-bedroom suites and 6 three-bedroom duplex apartments, has been designed by Penarth architectural practice, Loyn & Co. Comprising of three separate terraces, staggered based on the natural site levels, the buildings, communal space and parking areas are innately integrated into the cliff top. Every apartment comes with its own floor to ceiling window offering breath-taking views of Cardiff, the Bay skyline and the Bristol Channel. The award-winning Scimitar Homes has been charged with bringing the spectacular development to life. Apartments start from £350,000 and will be available to reserve in spring 2019 with completion set for summer 2020. As well as providing the detailed specifications about the apartments, location and history, the website allows users to express interest and be the first to find out the latest news about the complex.